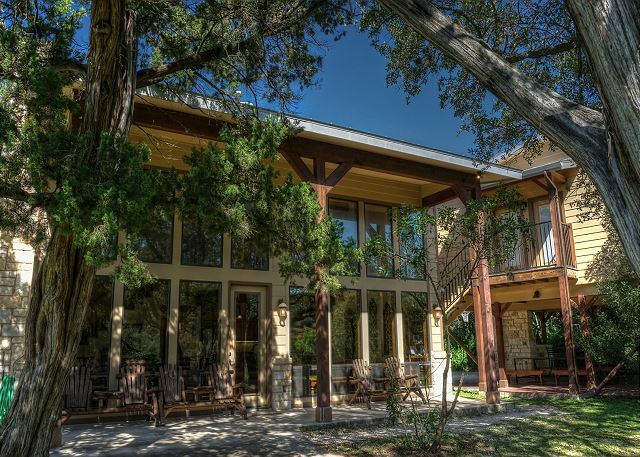 Casa Alegria is located approximately 1 & 1/4 mile to river access! 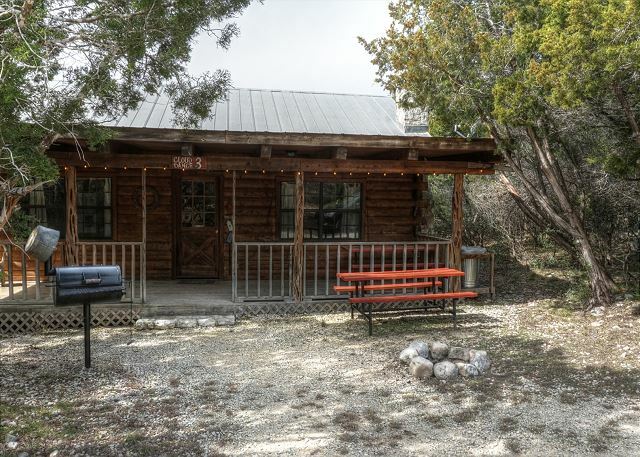 Casa de Flores – the house of flowers – is a beautiful home nestled in native oak and mature cedar trees a block away from the sparkling waters of the FRIO RIVER. 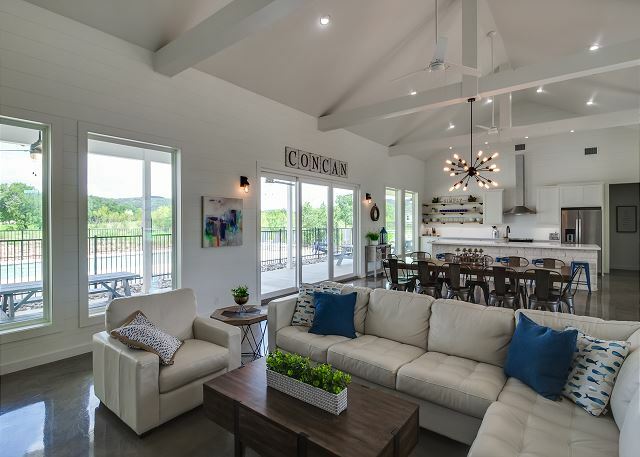 NEW spacious, tastefully decorated home in Tierra Linda Subdivision has vaulted ceilings, granite throughout, covered Porch, outdoor kitchen and Bar overlooking the private sports pool, and amazing chula vistas of the Frio River Valley! 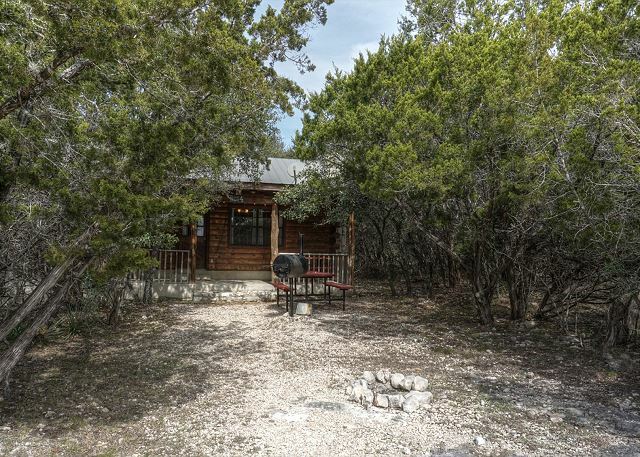 Enjoy the peace and serenity of the Frio Canyon and Texas Hill Country!! 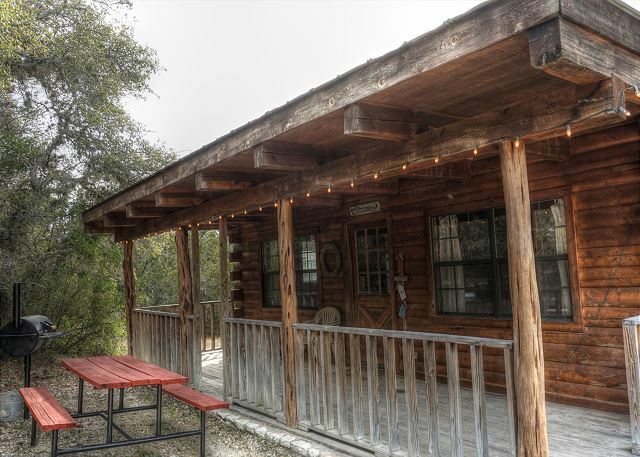 The “Concan House” has 5 large bedrooms & 5 ½ bathrooms and will sleep up to 28 people! Each bedroom includes its own private bath and entry.